Vacation rental house. 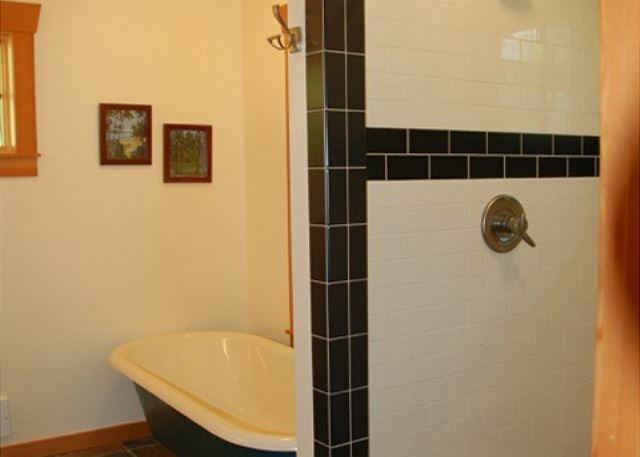 Sleeps 7, 2 bedrooms, 2.5 bathrooms. No pets allowed. 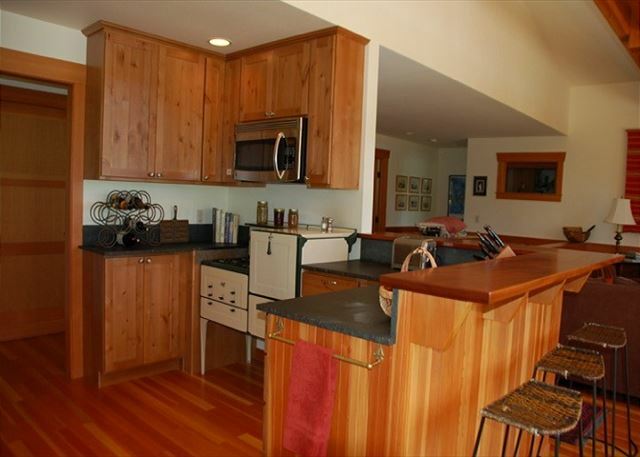 Goss Lake Chalet - Two level, two bedroom, 2.5 bath home nestled in the woods. 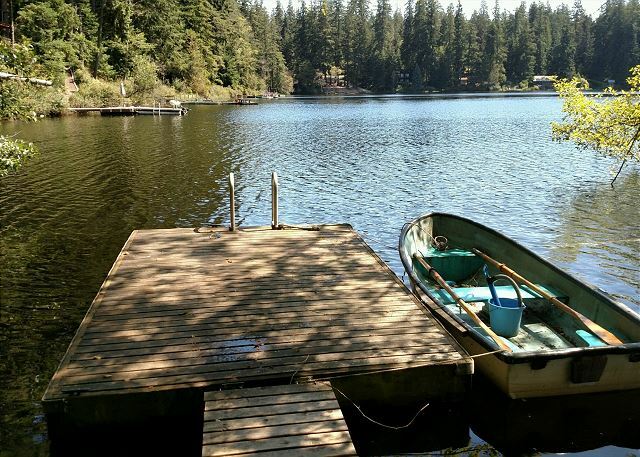 This beautiful craftsman home is lakeside and has a short trail down to a swimming dock. 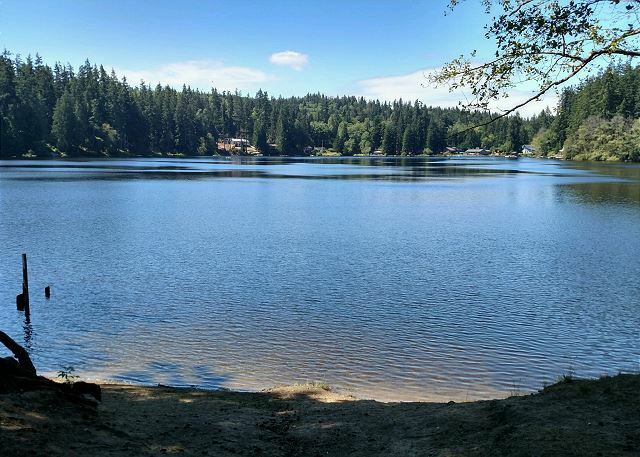 Goss Lake is known for its pleasant water temps during the summer months. Approximately 1800 square feet sleeps 6 comfortably with 1 queen in the "open living" master suite, and 1 queen bed in the guest bedroom and a fold out futon in the downstairs family room. 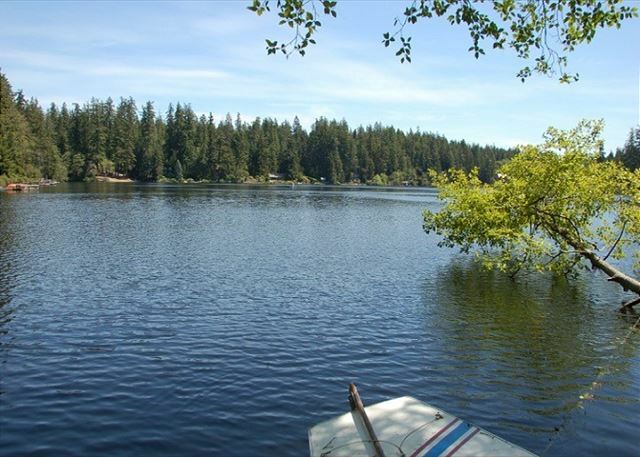 Goss Lake is just five miles from historic Langley or Freeland and ten minutes from the Bayview farmers' market (Saturdays). Short walk/bike ride to many miles of trails at Putney Woods. 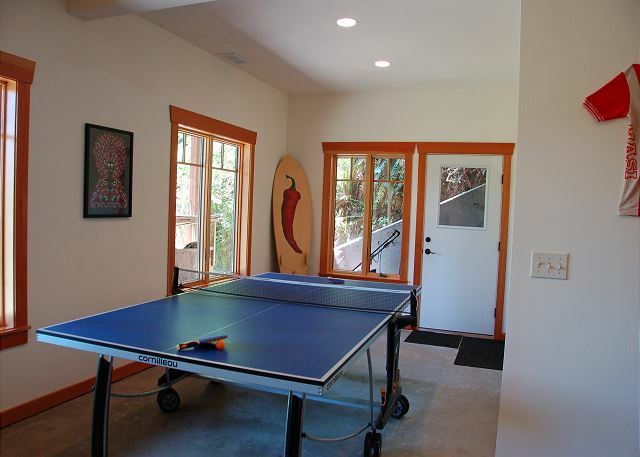 Chalet includes tournament quality ping pong table, VCR, blue tooth music system, and fireplaces in and out. 4 NIGHT MINIMUM JULY AND AUGUST. We had a wonderful time and the house is awesome. 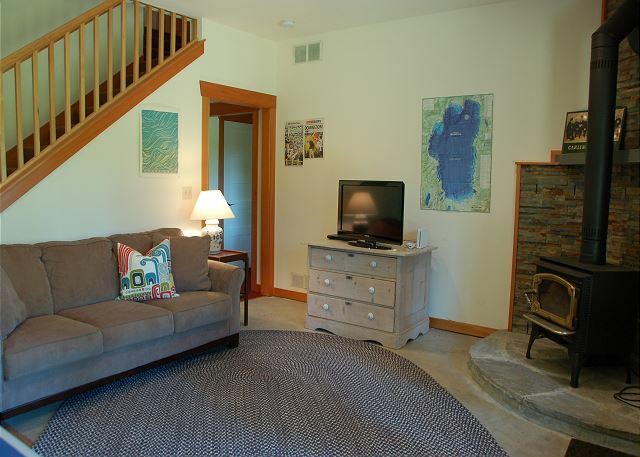 Loved the upstair/downstairs separate bedrooms. 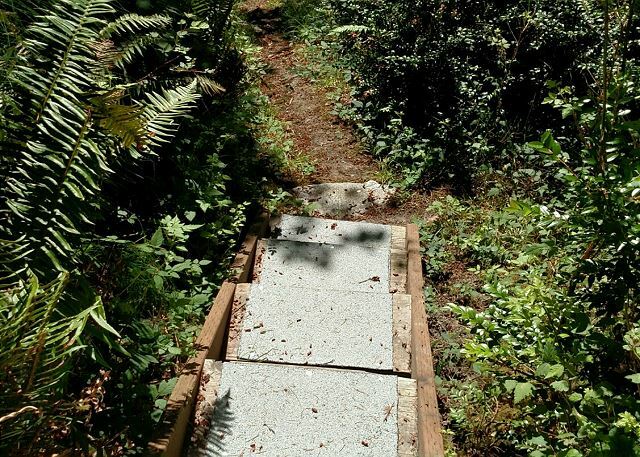 The only odd thing was that the dock wasn't lined up with the trail leading to it. had to jump to the walkway. Thank you for your comments. 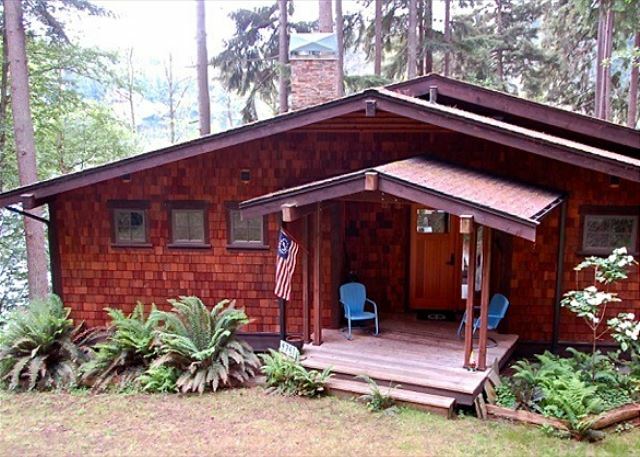 We are happy you found the house "awesome" and had a wonderful time on Whidbey Island. We hope you are planning your next stay and we are able to help you find an awesome home to stay in when you do. The cabin was the perfect place for our family of five. The rowboat, ping pong table, and wifi kept all of our children 6-13 plenty busy while we just relaxed and visited with family. Thank you for you comments. 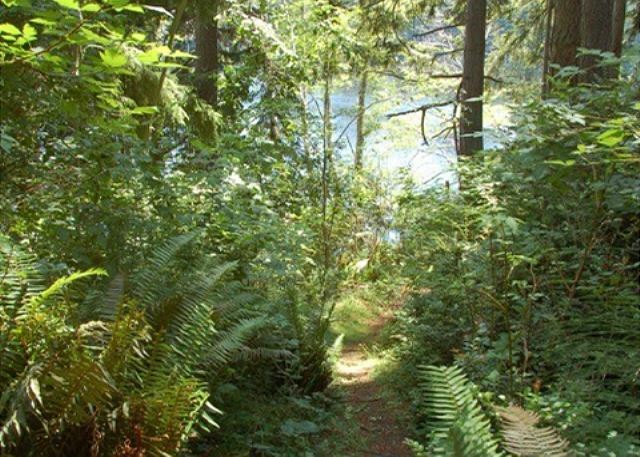 We are happy you had a "great time at the lake" on Whidbey Island. We hope we can help you with your next stay on the Island. Thank you for your comments. We are so happy you had a "great" and "peaceful" stay at the Goss Lake Chalet. We hope we can help you with your next stay on Whdibey Island. 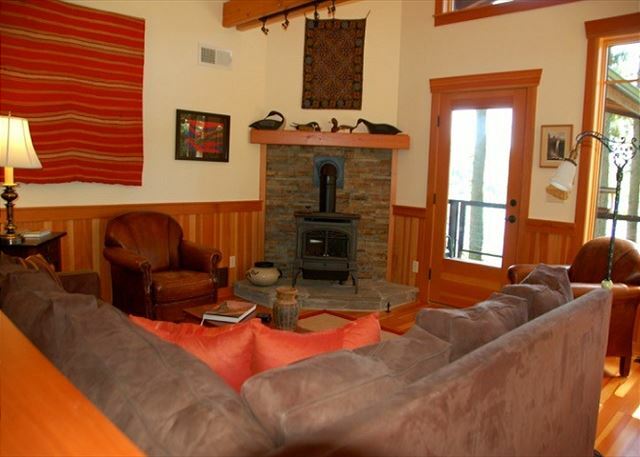 We love this chalet on Goss Lake! For the past several years we have met with friends on Whidbey Island because it’s a convenient location from where we both live. We catch up, eat great food and have lots of laughs and create wonderful memories. This is the perfect place. Clean, beautifully furnished and comfortable. We will meet ther next year if it’s still available! Thank you for your comments. 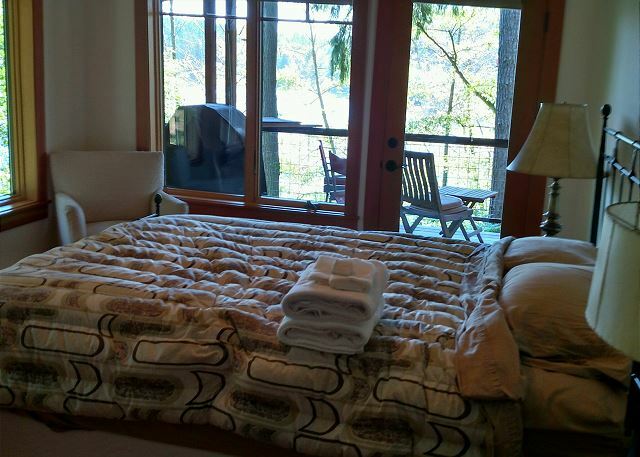 We are so happy you "love" staying at the Goss Lake Chalet on Whidbey Island. We will be expecting you next year on the Island! Peaceful most of the time. The septic alarm went off a few times, once in the middle of the night, not so peaceful! Loved the location....better patio chairs would make it more relaxing when enjoying coffee and the lake view! The row boat wasn’t in good shape, actually not user friendly due to being in bad shape. Beautiful home. The oven did not work, otherwise it was well cared for. Thank you for your comments. 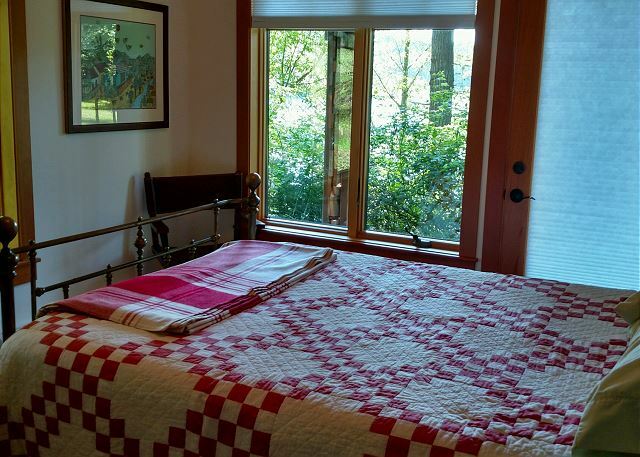 We are happy you "loved the location" you were staying at on Whidbey Island. The septic alarm was faulty and has been fixed. The row boat was worked on after your stay. We are sorry for those issues you encountered! We hope we can help you with your next stay on the Island. 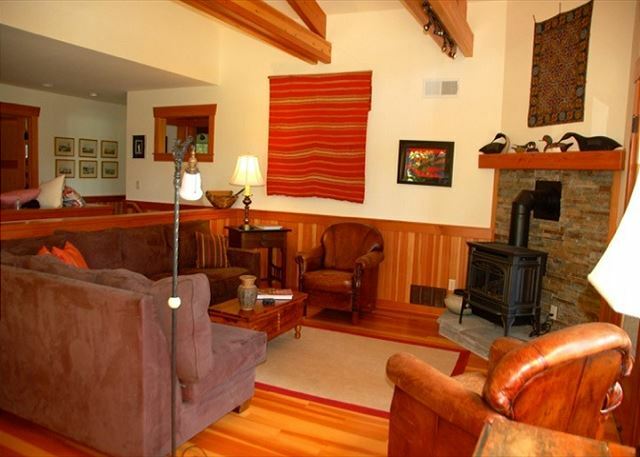 The house is beautifully built and comfortably furnished. 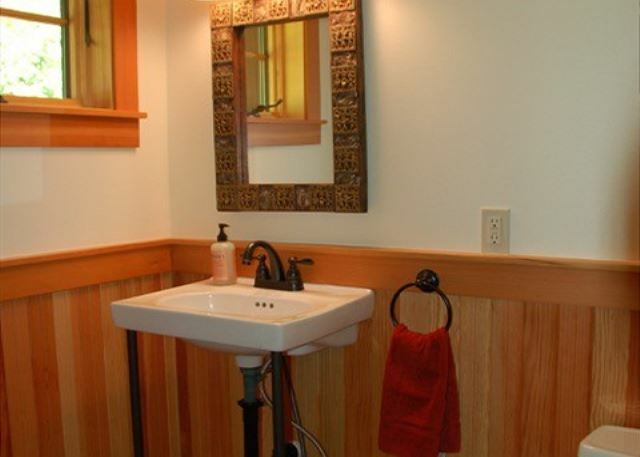 Every detail is considered, including a well stocked kitchen, and plenty of towels and linens. Our family had an absolutely amazing week in this lovely lake house. Days were spent swimming, playing, and enjoying quality time togethet. We felt a million miles away in this idyllic location. Thank you for your comments. 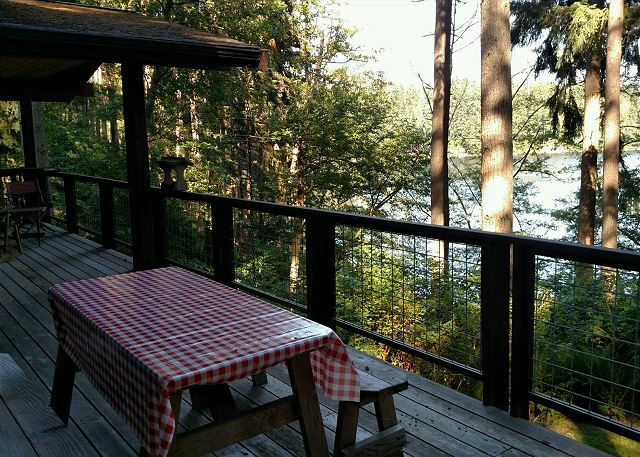 We are so happy you had an "amazing" week and your family "enjoyed quality time together" at the Goss Lake Chalet on Whidbey Island. We hope we can help you with your next stay on the Island. 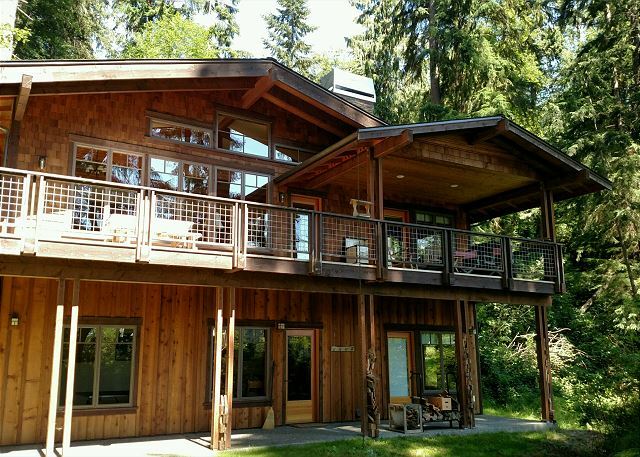 My family and I stayed at this great lake house for five days and loved it! The house itself is beautiful and the location is stunning and private (the pictures do not do it justice at all). We loved the deck that overlooked the water and spent many afternoons playing on the *warm* lake. The only thing that could have been better was the deck furniture- it was fairly minimal and not ideal for spending long evenings enjoying the setting. Otherwise, the house was perfect! Thank you for your comments. We are so happy you "loved" your "perfect" 5 days on Whidbey Island. Please let us know when we can help you with your next stay on the Island. 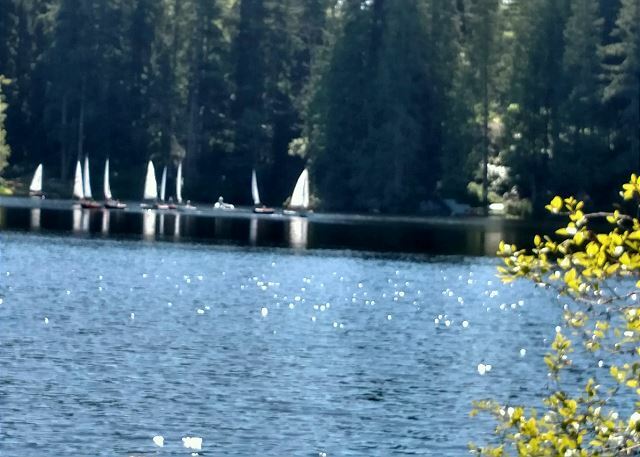 This is the second year we have stayed at Goss Lake Chalet, and we enjoyed it even more this year. The house is beautiful, very clean and comfortable. The beds are really comfortable. The setting is very peaceful. 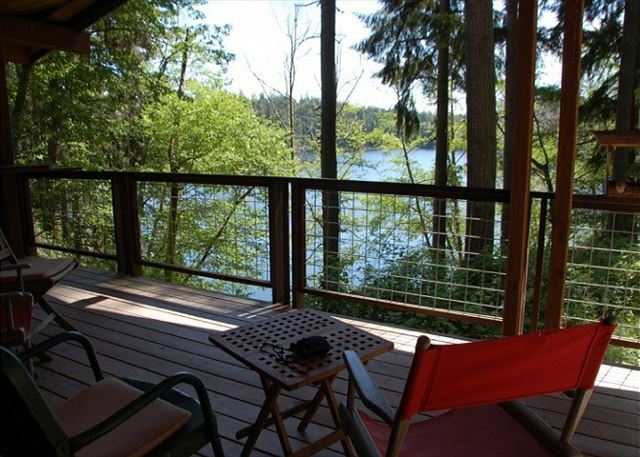 The house has a great deck and a lovely view of the lake. There are many activities close by including wine tasting and a farmer's market. The row boat and dock are a great addition. I recommend you bring your own life vests. 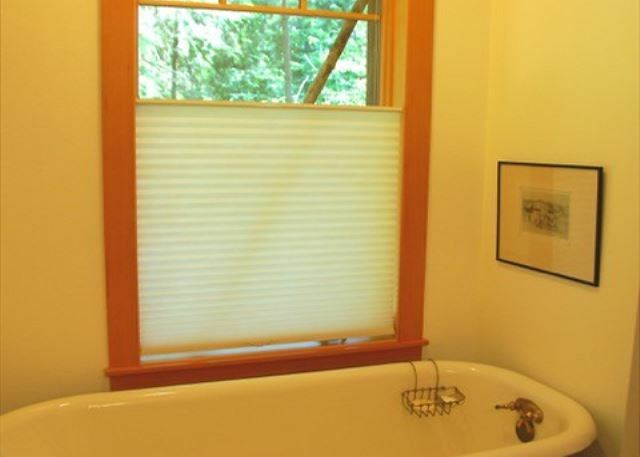 The one quirky thing about the house is that the master bedroom doesn't have a door and there is also a window in the bedroom wall overlooking the living room. This was not an issue for us, but could be for others. I highly recommend this house and am looking forward to our next stay. Thank you for your comments. 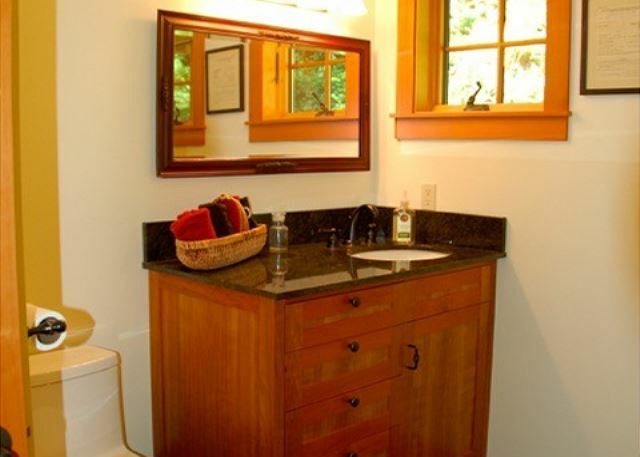 We are so happy that you love staying at the Goss Lake Chalet on Whidbey Island. We hope we can help you with your next stay on the Island. We figured this would be a great place to stay and we were right. The location is perfect on Goss Lake, removed from the traffic noise yet not too far away from grocery & other stores. The home is very clean and beautifully crafted. 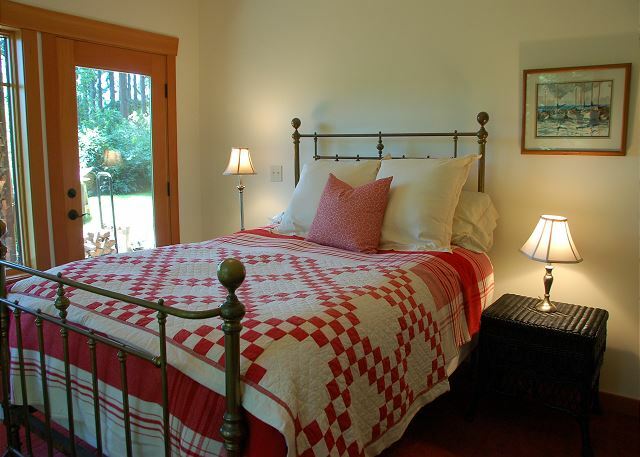 The kitchen is well equipped, the living area is cozy, and the beds are comfy with nice pillows. We spent most of our time on the deck and would have enjoyed a couple of lounge chairs out there to relax our head on, but we enjoyed it just the same. The home is completely private, just like the picture shows. No other houses can be seen unless you look across the lake. It was nice to have our own private dock to fish off and swim from too. The walk around the lake is just under 2 miles, peaceful, and hilly; a nice workout. The internet service worked well but we had to walk uphill to the road to get a cell signal. There is no cable so if you have to watch TV you'll need to watch a movie on DVD. We would love to come back and stay longer next time. Thank you for your comments. 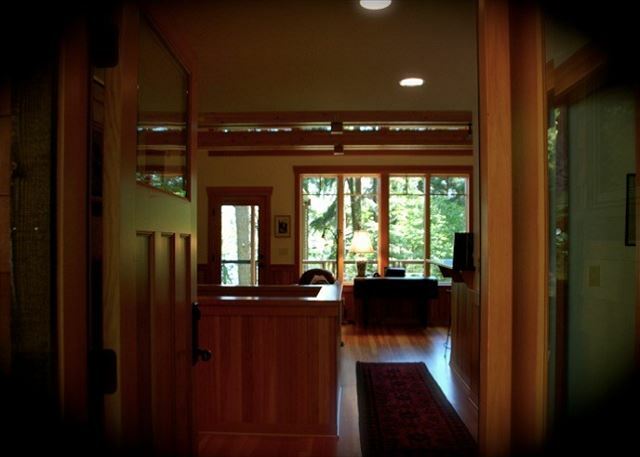 We are happy that you thoroughly enjoyed your stay on Whidbey Island. We hope we can help you with your next stay on the Island. When entering the house, my first impression was, "Wow". The space is very open, and the wall-to-ceiling windows look out onto tall pines and the lake. The home is all warm wood, which is in excellent shape. The windows are high quality, and most can be opened. The place was so comfortable and beautiful that it was hard leaving it. We had a mother deer and her 2 fawns visit the property every morning. The available rowboat is very sturdy and safe, and we used it every day, sometimes to just paddle out to the middle of the lake and sit in the sun. The pingpong table in the basement, which is also open to the outside with its floor-to-ceiling windows, was used often by us. 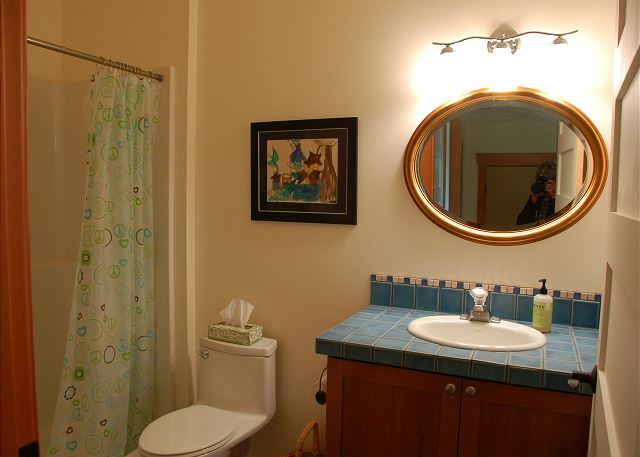 The place was perfectly clean, the kitchen was open to the living area which made it easy to cook in, the beds were very comfortable, the bathrooms had high-end fixtures and showers with a 3rd half-bathroom near the living area and beautifully decorated! We had a wonderful time with our 8 yr. old granddaughter who loved swimming in the lake. This is the most beautifully designed and crafted place I've ever rented! Hats off to the owner! 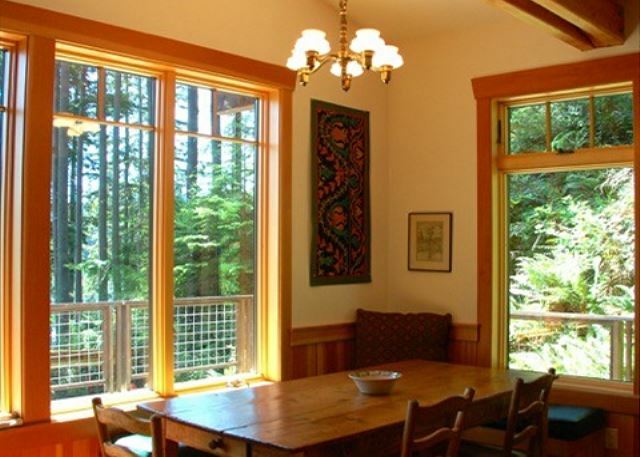 Thank you for your comments> We are so happy you had a "Wow" expericence on Whidbey Island, we hope we can help you with your next vacation on Whidbey Island. The house was lovely and there was lots of room and ways to enjoy being in and out of the house. A multi-generational family gathering was a huge success and no one wanted to go home! Thank you for your comment. 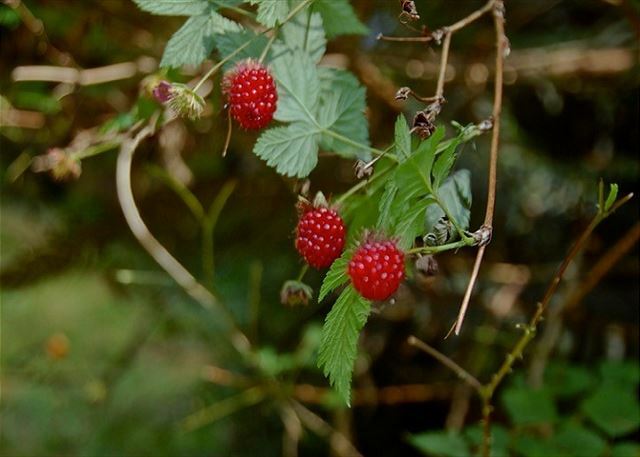 We are happy you had a "lovely" stay on Whidbey Island, we hope we can help you with your next vacation on the Island. The house is beautiful as are the surroundings. Very peaceful house is well appointed. Kids really enjoyed the private dock for swimming and the row boat was a bonus! Glad you enjoyed the spot! Thanks for your review! Beautiful with high quality furnishings. It just felt like my home - beauty everywhere. Thank you for your review! So glad you enjoyed the home! The worst part of this rental experience was having to leave! Our family had a wonderful time and was so impressed by the home and all that was offered. We would definitely love to come back! We are so glad that you had such a great time! Please come stay with us again. Thank you for your review! 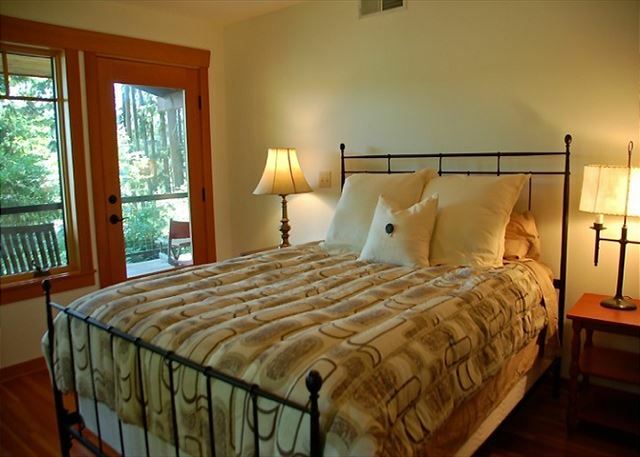 The house has a fantastic view of the lake and is well appointed for a comfortable stay. We really enjoyed playing ping pong! We're so glad that you had a great stay! Thanks for your review! Better Than Home, But With ALL of the Comforts of It & Then Some! This was a 44th birthday get-away weekend for me and one of my besties, who flew in from Newport Beach, CA, to help me celebrate, and I couldn't have picked a better retreat for us! This was a home-away-from-home in every sense of the word, but ten times better--comfortable beds, stunning views (the lake and bald eagles swooping by), amazing modern kitchen, cozy blankets, great "L-shaped" couch, and a gas fireplace that kept things warm while rain pelted the windows outside. I would go back to this lakeside hide-away in a SECOND, and would encourage any & all to do so as well--like me, you won't regret one, single thing about it if you do!! So glad to hear you had a great getaway celebration with a birthday friend. This is a great home to watch the eagles. Thanks for your review and glad to hear you would love to come back. We loved this stay. House was clean and user friendly. Met all of our families needs for a weekend get away. Glad to hear your family had a great stay on Whidbey Island. Thanks for your review. I was pleasantly surprised with the house and the view. The pictures don't really do it justice. Very nicely built house with equally nice furnishings. I would stay here again. Thanks for your review. 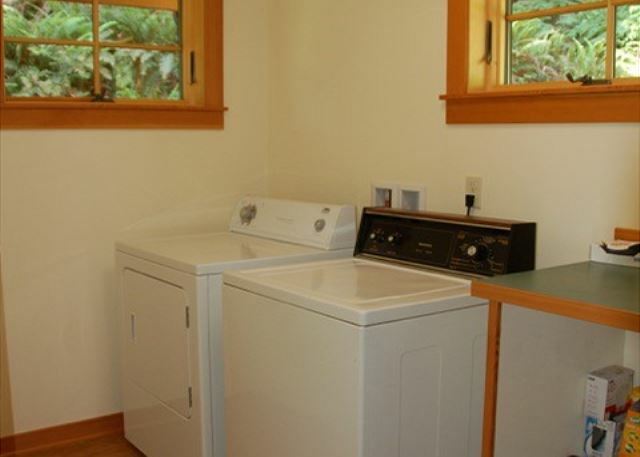 Nice to hear you had an enjoyable stay on Whidbey Island. This place is very cool! It's obvious that the owner loves wood and appreciates craftsmanship. Taking our daughter for a canoe ride on the lake was also a special treat. The kids loved this house and we would definitely come back again. Thank you so much for your review! 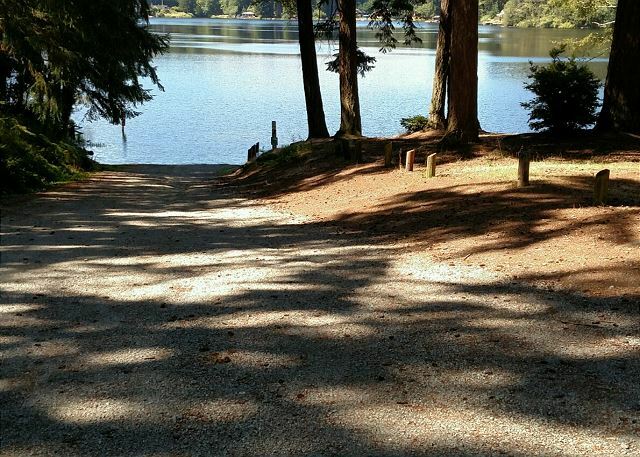 We're happy to hear you enjoyed your stay on Whidbey Island and were able to take advantage of one of our many lakes. Also, glad to hear the kids had fun and that you would visit Whidbey again. 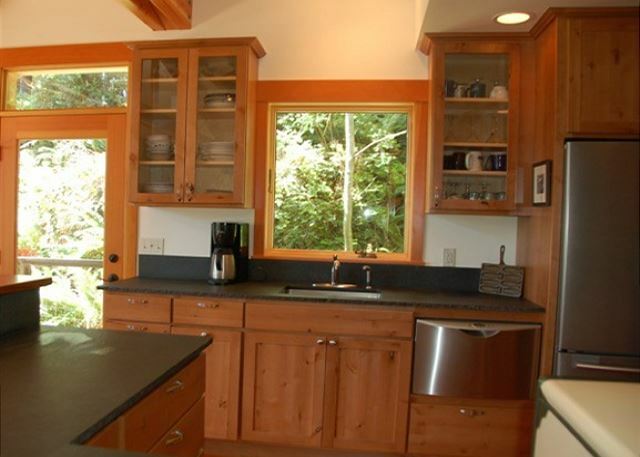 The house is really great, with a better stocked kitchen than usual and better furniture than vacation rentals tend to have. The upstairs (main floor) bedroom is private but loft style, i.e. Has no door. Fine for me, but worth knowing. The only surprise (and maybe it's in the description, I might have missed it) is there's no cable tv, no internet, no phone and no cell coverage for ATT or Verizon. It turned out to be a nice break, but in other circumstances one could have wished at least for a phone. We're so glad you enjoyed the house and that the furniture and the kitchen supply met your needs. We have put in our description the fact that the upstairs bedroom has no door and is a private loft style bedroom (definitely worth knowing!). We have since installed WiFi. There is no cable, but there is a Wii. Cell coverage is spotty in this secluded area, but we have made sure to have WiFi at this location for that reason. Thank you for your review!